Thoughts, stories and reflections on the life and impact of Coach Don Meyer whose legacy will live on forever at Lipscomb. A group of Don Meyer’s former players gathered Saturday morning at Aberdeen Central before his service and honored their coach in the way they knew best: They played basketball. They all came to Northern State because of Don Meyer, and, on Saturday, they came together again because of their beloved coach. In the final minutes of the memorial service for Don Meyer on Saturday afternoon, Mark Ovenden floated the potential title of a second book about the coach past Buster Olney. The next book could be called “How Lucky We Have Been,” Ovenden, a Sioux Falls sportscaster, suggested. It would, based on the memories shared during ceremony, be an appropriate title. Thousands gathered on the campus of Northern State University in South Dakota on Saturday for a memorial service to honor longtime college basketball coach Don Meyer, whose friends said his legacy of compassion for others would surpass even his accomplishments on the court. Officials planning the memorial service for Coach Don Meyer are advising attendees to plan ahead as a large crowd is expected and heavier than usual traffic and demand for parking around the Northern State University Barnett Center will require extra time. Parking will be available at the Barnett Center north parking lot. Once that is filled, alternative parking will be available in the Jerde Hall parking lot across the street from Barnett as well as in the adjacent Johnson Fine Arts Center parking lot. Parking will also be available across campus in the west student lot along Lincoln and Washington Avenues. In addition, a live video stream of the memorial service will be broadcast from the Barnett Center. The feed can be accessed at http://client.stretchinternet.com/client/northern.portal#. The site will go live at 2:30 p.m. Saturday with the service scheduled to begin at 3:00. Users will simply click on the “Watch” link during the broadcast to watch the event. The video stream and tech support are being provided complimentary by Stretch Internet, the company that broadcasts regular season athletic events for Northern State University. Out of respect for the family, the general public will not be permitted to use hand-held cameras and/or smart phones to take photographs and capture digital images of the memorial service. Video recordings by the general public also will not be permitted. 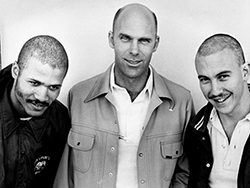 Don Meyer leaned in and, speaking forcefully, gave instructions to the college-age kid, telling him the challenge he should anticipate and advising him on what should be his next action. Meyer coached college basketball for nearly four decades, winning a then-NCAA record 923 games with record-setting teams and players, but above all else, Meyer was a teacher. The young man he spoke to in that moment was not a basketball player, but a farmer who had lost a leg in a combine accident just two weeks before. He had come to see Meyer at a book signing in Fargo, North Dakota, in the fall of 2010. When Meyer saw him come through the door on crutches, with one pant leg of his jeans pinned all the way up, Meyer reached for the cane next to his seat. Don Meyer’s legacy in basketball may best be seen in all the future coaches he mentored. Retired Northern State athletic director and men’s basketball coach Bob Olson said the Meyer proteges are living examples of what Meyer stood for. Don Meyer, one of the winningest coaches in college basketball who came back from a near-fatal car accident and liver cancer before closing out his career, died Sunday in South Dakota. He was 69. Don Meyer, one of the winningest coaches in college basketball who came back from a near-fatal car accident and liver cancer before closing out his career, has died in South Dakota. He was 69. 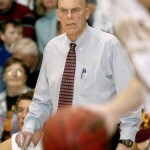 Don Meyer reached 700 wins faster than any coach in NAIA history and never looked back. Today, those who played for him, cheered for his teams and whose lives he touched are looking back with heavy hearts. Very few phone calls change the course of a university, city and state. The Don Meyer movie is moving forward after more than two years of planning and securing the financing. Apparently one day soon, we’ll hear about the passing of a true legend. It wasn’t so much that Don Meyer coached college basketball for 42 seasons, including 24 at Lipscomb University. And all those wins – 923 to be exact, sixth-most among men’s coaches – certainly earned enshrinement in multiple halls-of-fame. Meyer, 69, was also a coach’s coach. His instructional videos set the standard among his peers, and those summer camps became the model for many a coach to follow. As legendary Lipscomb basketball coach Don Meyer’s fight with cancer nears an end, the legacy he hoped to leave already is firmly in place. Mike Organ, of USA TODAY Sports, writes about Coach Meyer’s commitment to the game, and his final days in his battle against cancer. Two weeks ago, Sundance Wicks came home to Aberdeen so that an important man in his life could meet the woman of his life. That man was his college basketball coach Don Meyer — now at his Aberdeen home in hospice care. The woman is Wicks’ fiancee, RyAnne Ridge — whom he will marry Oct. 4. As legendary former Lipscomb basketball coach Don Meyer’s fight with cancer nears an end, the legacy he hoped to leave already is firmly in place.